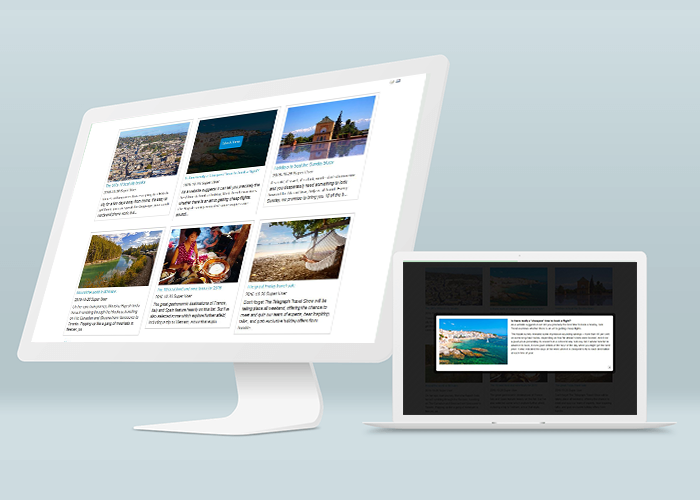 You have a Joomla website, you are looking for a module to display articles in a unique way to attract viewers on your site. 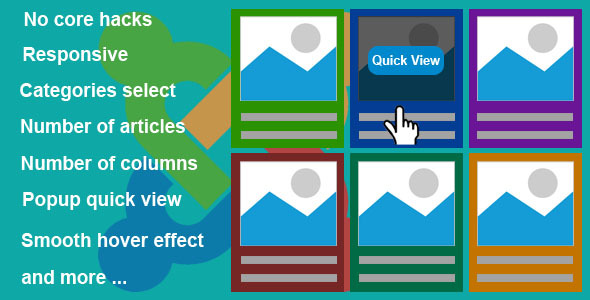 Come with “Responsive Grid Quick View Articles for Joomla”, a great module to display articles in grid interface, beautiful image effects, users can quick look article content in popup window. Admin can be select the categories to show. Admin can be configurate number of articles. Admin can be configurate number of columns. Admin can be configurate show or hide Title, Description, Date, Author. Admin can be configurate limited of Title, Description.